In “Disruptive ‘Sexual’ Voices in English 101,” writing teacher Lizbeth Bryant recounts a semester marked by students’ sexual comments that she tried unsuccessfully to silence. To learn why their innuendos and puns persisted, Bryant interviewed students, studied composition theory, and re-examined the students’ words, leading her to conclude that she erred on two counts: labeling the comments (as sexual and inappropriate), and seeing the students’ voices solely from her own perspective. Seeing the error of her ways, Bryant shifted her focus from defining the students’ voices to the interactions among those voices, allowing them to develop rather than quelling them. Bryant concludes her essay by addressing how she could have “transformed these conflicts into teaching moments” (100), offering a list of talking points for classroom conversations about voice. Bryant credits Pratt with helping her understand how she “us[ed] the power of the academy to impede a student’s process in voice development” (97), yet she offers no evidence that she has considered how her own voice as a writer might impede communication with her readers—or how traces of that voice may influence the voices of students in the classroom or in the interview she conducts with them. Her discussion of the interview reveals that Bryant spoke with only two students, both female. Readers can only wonder what conclusions Bryant believed she could draw from such limited data. The interview prompts other questions as well: Did she request interviews with more students, both male and female? If so, did they decline? And if they did, what are the implications of their reluctance? Notably, in her account of the interview, Bryant quotes the students but not herself, missing the opportunity to let readers hear her own voice in response to theirs. And the absence of her spoken words prompts even more questions: What traces of the academese of her prose might infect her speech, and how might they impede her conversations with students? Applying the theories of Halasek and Pratt, Bryant reconceives the classroom as a construction zone where her disruptive students “navigated the discourse waters of the academy and decided to bring aspects of their voices of community into the construction zone of the classroom” (99). Her almost-mixed metaphor of navigating discourse water to enter the construction zone brings to mind American Ninja Warrior, which most students—not just hers—would find more appealing than her talking points on voice. Bryant views her students’ disruptive sexual voices as a response to her power in the classroom. As the one who wields the gradebook, she does possess power that her students lack. But that power alone doesn’t distinguish her from the students. Except for the rare prodigies who pen their dissertations in puberty, professors don’t have the libidos of eighteen- and nineteen-year-olds, and the frontal lobes of their brains aren’t still in development, either. Simply put, freshmen and professors aren’t in the same place sexually or cognitively. A study that considers the body as well the mind might offer more insight into students’ “sexual” voices and professors’ responses to them. But even if Bryant initiated such a study—partnering with a neurobiologist, perhaps—would she and her collaborator write in voices that students or general readers would understand (or want to)? Such writing seems ridiculous because it is. That’s why it becomes the subject of ridicule, as the words Bryant spoke to her students became the subject of their mimicry. And the essay that Bryant writes in response to that mimicry risks inviting more of the same. If a student says in class, “I wouldn’t stick mine in there. Don’t know where it’s been,” asking yourself why and reconsidering your own reactions are valuable practices. But a two-thousand-word study of why-my-student-said-I-wouldn’t-stick-it-in-there may not only seem ridiculous, it may also perpetuate the worst stereotypes about scholarship. Admittedly, Bryant’s initial audience wouldn’t ridicule her essay. The first readers of “Disruptive ‘Sexual’ Voices in English 101” encountered it as a chapter in Voice as Process, a book written primarily for them: scholars of rhetoric and composition, readers fluent themselves in the academese, or academiotics, that’s so ripe for parody. 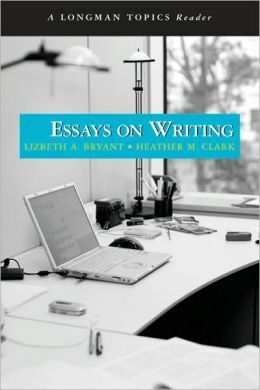 But Bryant’s decision to include the chapter in Essays on Writing, her textbook for first-year writing students, demonstrates her belief that her words speak to freshmen as well. She seems to be saying, I can have a conversation with you that I couldn’t have with those students back then. Can she? If she turns to her talking points, asking students “How asymmetrical power relations operate in the academy,” or how students “attempt to subvert control by the hegemonic structures” (100), will they answer, or will silence fall on the construction zone? Byant, Lizbeth A. “Disruptive ‘Sexual’ Voices in English 101.” Essays on Writing. Ed. Lizbeth A. Bryant and Heather M. Clark. Boston: Longman, 2009. 95-100. Print. Dailey, Victoria. “Pride and Prejudice, Translated into Academiotics.” Newyorker.com. Condé Nast, 7 Oct. 2013. Web. 14 Oct. 2013.